I don’t know about you, but I have the hardest time shopping for the men in my life. Most of my guys, whether it be my father-in-law, husband, dad, brother, etc are just so unhelpful when I ask them what they want for Christmas. It’s usually just “you know, whatever”, “I don’t know”, “I don’t care”, or “you don’t have to get me anything”. 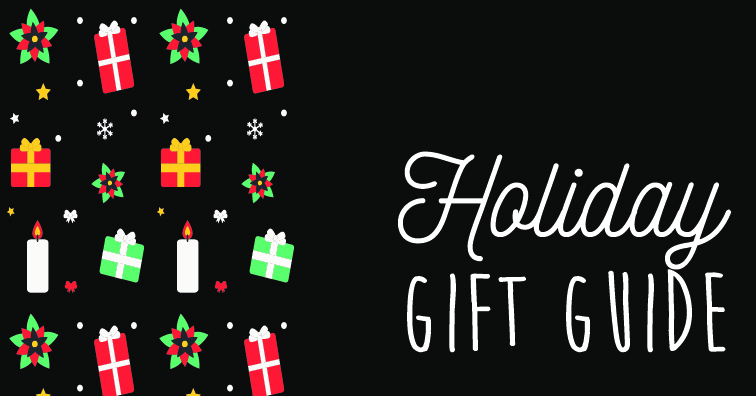 So here are my suggestions to getting the man in your life the perfect gift card. 2. Movies! Between Superhero releases, Disney movies, Star Wars, and a good ol’ fashion spy flick, I know the men in my life always appreciate a good movie gift card. Make it $15-$20 and it’s a great stocking stuff as they can see a flick and get a bowl of popcorn. 3. Activities – Does your guy like to golf? Play video games? Grab him a gift card to his favorite activity center. 4. Vacation – Do you like to vacation? Grab him a giftcard to use while on vacation or to help cover the cost of the vacation. My guys love this! Even though there’s not an immediate use, they look forward more to the days relaxing on the beach or screaming on a zipline. 5. Pre-plan a date night: Ladies, looking to treat your boyfriend or hubs. Take the pressure off of date night and plan it for your guy. Get him a giftcard for dinner and then an activity. He will love it! Trust me!